I am so thrilled to have Electra here as a start to my French Alpine herd! 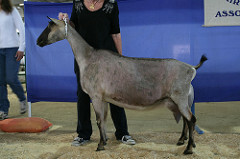 I have had my eye on the Missdee's herd for several years, but it was just never the right timing to add this breed in. This fall I was planning a trip to Yellowstone over Christmas and Gene shared that he was having a herd reduction. Since I would be 2/3 of the way to Oregon, it was perfect timing to go the rest of the way and add in his beautiful Alpines! Electra will make a beautiful foundation to my Alpines. 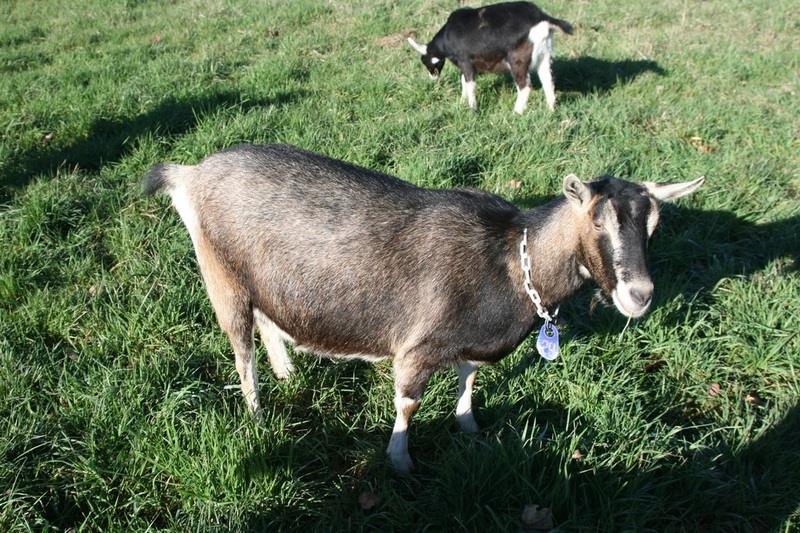 She is a powerhouse of a doe, towering over my Nubians. She has tremendous body capacity coupled with a mamary system that shows just as much capacity. Her mammary system might be my favorite thing about her. It is very solidly attached with nice fore and rear udder attachment and ideally placed plumb teats. Her LA history is below. She milked well as a yearling milker and in 2016 unfortunately aborted triplets 3 weeks early with no milk. Gene was able to bring her into some milk, but not what she would have had she freshened normally. Her family tree contains several well known Alpines, including Vlamick who sired several well known French alpine bucks including Iron-Rod ET Sheriff & Qu'Eppelle V Ember. Electra's dam was last shown in 2011. Electra's paternal granddam needs no introduction in the Missdee's herd. 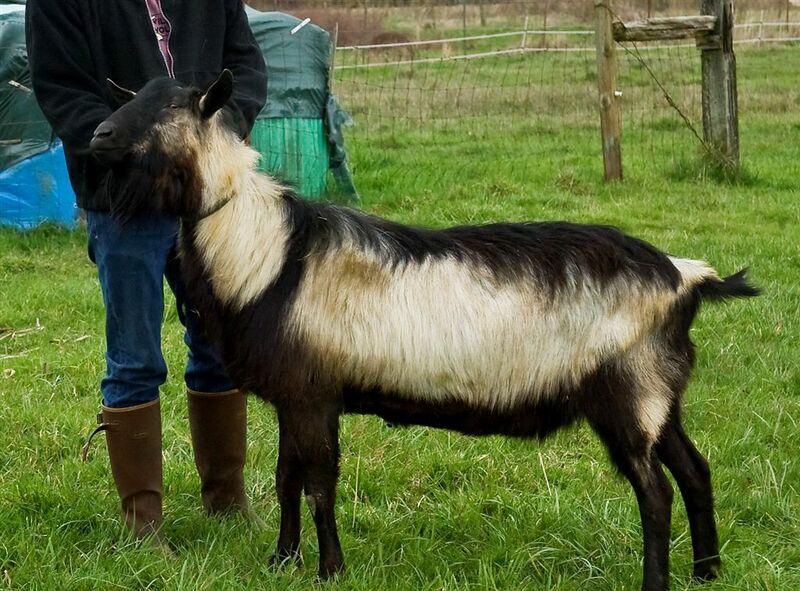 She is the ever popular Belladonna line bred on their most successful show goats Nadiya and Nell, both national champions. 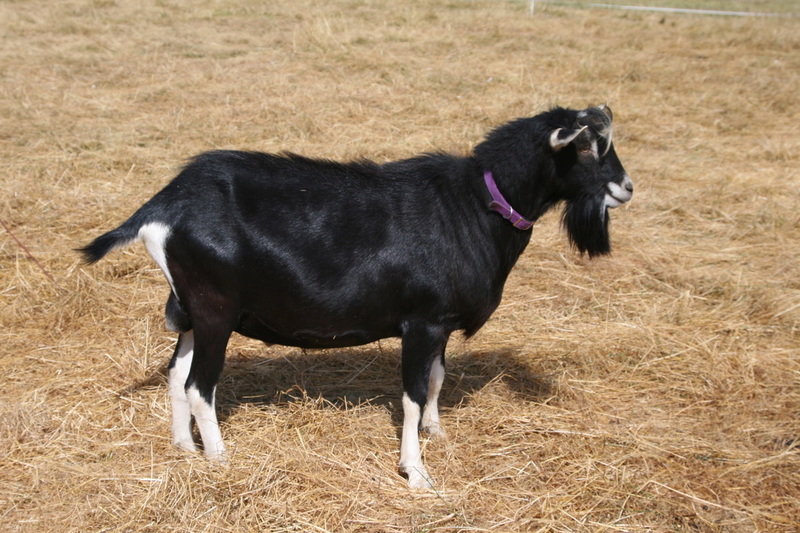 Belladonna has gone on to produce Bai and Bellaflora, and Bai's daughter Amelie. 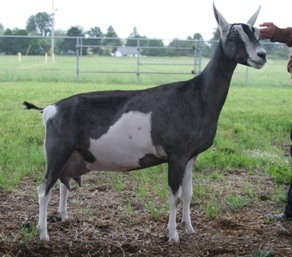 For 2017 kids, Electra is bred to their young buck Andre, son of Amelie and Cassius Clay. Clay is one of very few bucks currently living as an AI out of 1980's buck Serendipity's Bruiser. 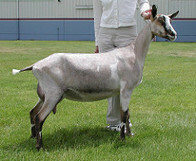 This breeding should excel greatly in both type and production. Photo Courtesy Holly Ridge Farm.